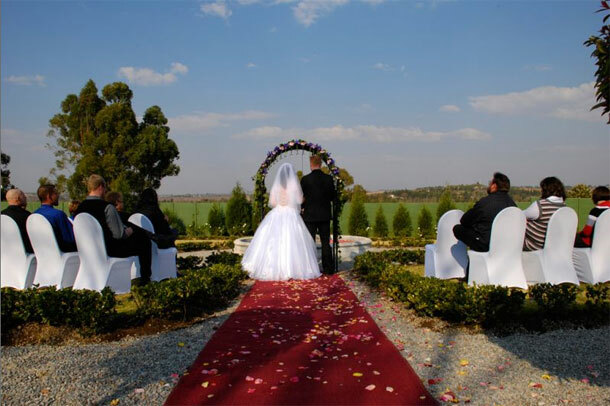 Valverde Country Hotel in Elandsdrift has 2 venues with separate entrance gates and parking areas for the privacy of your wedding. We do not charge venue hire. Should you wish to have exclusivity over the whole resort and be the only bride on the day, we can accommodate you at an additional charge. Seats up to 120 guests, with a spacious raised dance floor and a separate buffet area. The Jasmine Chapel overlooks the Valley and the Renaissance garden. It is open on 3 sides, with a skylight in the roof, and is furnished with wrought iron features, wooden pews, red carpet and an arch at the entrance. The Olive Lapa seats up to 200 guests, with an outdoor dance floor under the stars. The Rose Chapel is indoors, and the altar is raised. It is furnished with chairs, red carpet and beautiful wrought iron candleholders. We are open daily from 9 to 4 and you do not need to make an appointment to view the venue. 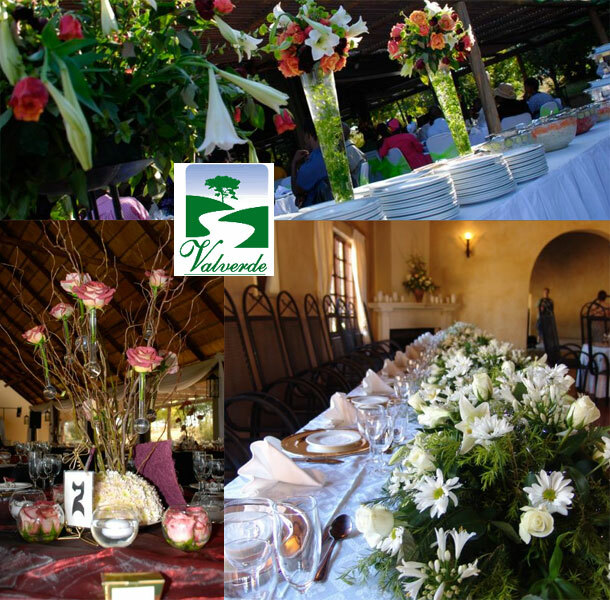 To book your wedding here visit Valverde Country Hotel to send an enquiry or for further details.